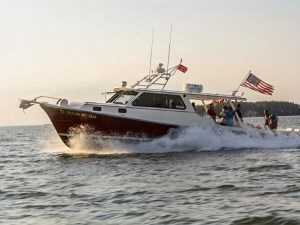 With mountains, marshes, and miles of rivers and lakes, Maryland is a sportsman's paradise. Like your fishin’ salty? 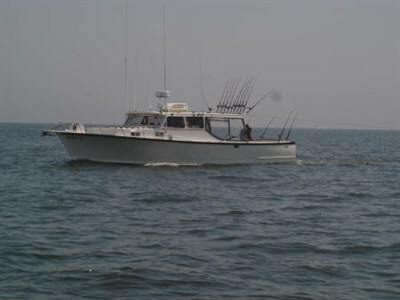 Surf cast from the beaches of Ocean City and Assateague or head out to the Atlantic Canyons on a deep-sea charter (Ocean City is, after all, the White Marlin Capital of the World). 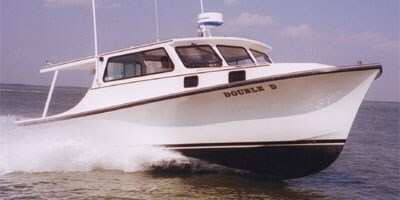 Looking to get out on one of Maryland’s 42 rivers or the Chesapeake Bay? 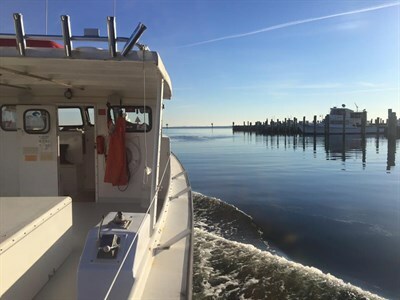 Try angling for rockfish and bass or hunting duck or geese—Maryland is at the heart of the Great Atlantic Flyway. Looking for a unique challenge? Try bow-hunting for exotic sika deer in the marshlands of the Eastern shore. Want to land a holiday turkey, bag that trophy buck, or go big game hunting for black bear? The forests and mountains of Maryland provide. Or if you just want to find a quiet spot to try (and probably fail, the first couple of hundred casts, at least) to land the perfect trout with that new fly you just learned to tie, there’s a quiet mountain stream out there with nobody’s name on it. From the rugged Alleghany Mountains to the shores of the Chesapeake Bay to the mid-Atlantic canyons, the Old Line State has it all for sportsmen and women, including a huge variety of game, fresh and saltwater fishing, and perhaps the finest duck and goose hunting in the country. Start with these 15 ideas for hunting and fishing experiences in Maryland. 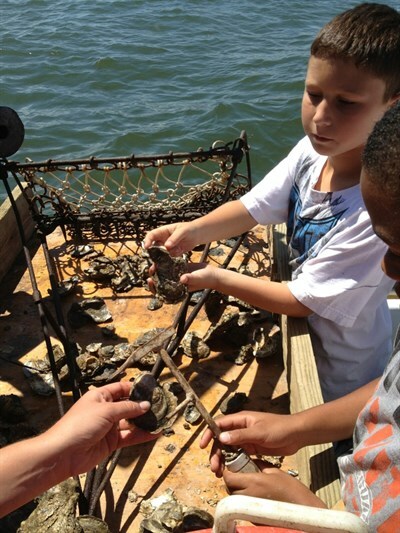 To find locations of your favorite species, and the best guides in the area go to Fish & Hunt Maryland. With some of the best bass fishing anywhere, and a wealth of game fish, there are great options year round, day or night, but there’s nothing quite like ice fishing on Deep Creek Lake. Yellow perch are active under the ice, so get your auger, ice-axe and rod, and land a memory. There’s a reason the state dog is the Chesapeake Bay retriever. Located right in the middle of the Atlantic Flyway, Maryland is steeped in duck and goose hunting tradition, and the Eastern Shore is home to some of the best waterfowl hunting anywhere. The barrier island of the Maryland coast is home to amazing surf fishing, so pitch a tent, set up your surf chair and cast. 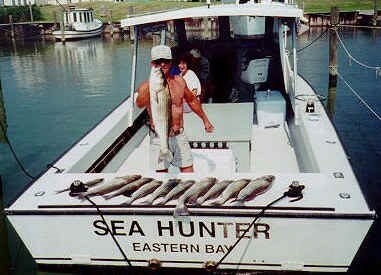 The channels, cuts, and ever-changing sandbars draw huge schools of big red drum, black drum, striped-bass, bluefish, flounder, rays and sand sharks. Turkey are plentiful throughout Western Maryland, but this diverse woodland, with some of the largest stands of old-growth forest on the East Coast, provides ideal habitat for wild turkey. With spring, fall and winter seasons and rifle, handgun, shotgun and bow availability, there’s a lot of opportunity for turkey hunters here and elsewhere in Maryland. With dense woodlands, open fields and lush marshes, these eons-old hunting grounds were legendary among the local Piscataway Indian tribe. With a 3,000-year hunting tradition, St. Mary’s River State Park remains one of the best game sites on the Eastern Seaboard and perfect terrain for white-tail deer. 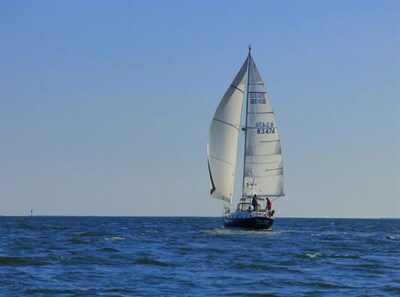 Launch from Sandy Point State Park and get right up to the pylons of the giant Chesapeake Bay Bridge. Pedal-powered fishing kayaks turn fishing into an action sport and let you keep both hands on your rod. Kayak fishermen have been having great luck on giant black drum right under the bridge. 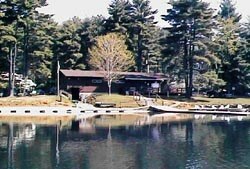 Rent an electric boat at the Loch Raven Fishing Center and explore the nearly 11-mile-long reservoir. Only a few short miles from downtown Baltimore, just a stone’s throw from Towson, and stocked with large and small mouth bass, pike and perch, Loch Raven is the perfect spot to drop a line and drop off the grid. 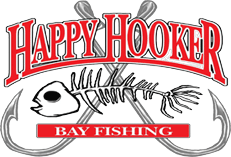 You’ve probably passed the old Choptank River Bridge a hundred times on the way back and forth to the beach; maybe it’s time to break for some fishing. 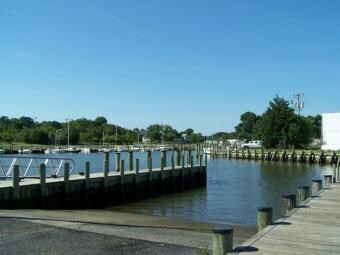 Open 24 hours a day, 365 days a year, the Bill Burton Fishing Pier is a great spot for fishing or crabbing. The Chesapeake Bay Cast & Blast is a true “Only in Maryland” experience that any serious sportsmen needs to add to their bucket list. We’ll be honest–this is not an experience you should just show up and hope to enjoy. 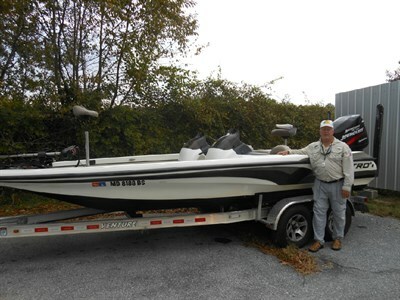 There are a few guides that provide this unique trip to sportsmen in Maryland. Check out the hunting guides & outfitters that take visitors out before coming to Maryland. These guides will help you plan the trip and answer any questions you might have. Also, we suggest visiting Maryland DNR’s website for current and accurate information on all hunting logistics and regulations. You also want to make sure to have all your necessary licenses, which you can do online or from from the DNR app. 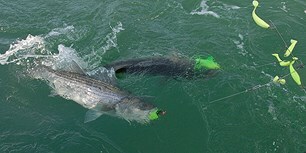 With way-in stations up and down the bay and individual prizes toping $80,000, the Championship on the Chesapeake is the biggest striped-bass tournament in the world. 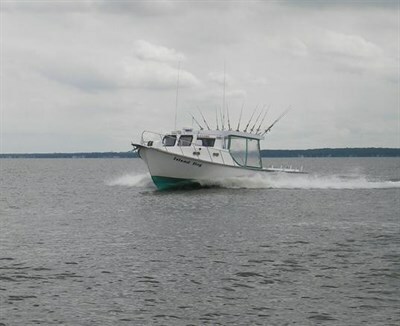 Charters are available all over the state’s Chesapeake region, and rockfish is one of the best tasting, most exciting saltwater game-fish around. Native to Asia and more closely related to elk than the white-tailed deer, these exotic deer are a unique Maryland species. Favoring marshlands and other unusual terrain, hunting the sika deer makes for a real challenge. Local guides can help you track the elusive sika. 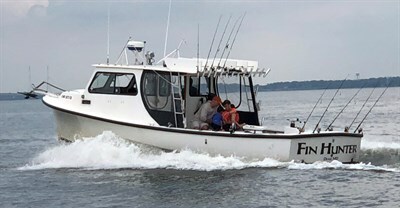 One of the most exciting developments in recreational fishing is the thrilling sport of bow-fishing, and the Potomac is one of the best spots around to try it. Head to Indian Head in Charles County and set your sights on catching some snakehead and flathead catfish. There are no limits on these invasive fish—they’re big, they’re plentiful and they’re delicious. 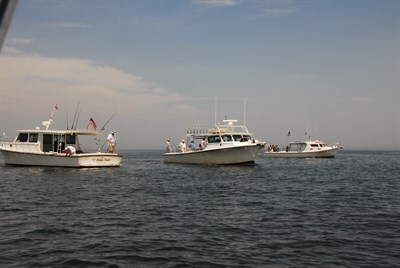 Bring your boat and bow or sign up for a local charter. When contemplating your ideal getaway, does a river run through it? Then Streams & Dreams Retreat Bed & Breakfast in Garrett County is the perfect spot for you. Their expert guides have tips for the seasoned fly-caster and comprehensive lessons for beginners on the banks of the Youghiogheny. Lose yourself to the sound of rippling waters, the swish of line, and the splash of a monster trout. It’s no surprise that the White Marlin Capital of the World holds the largest billfishing tournament on the planet drawing thousands of spectators and hundreds of the best anglers—with more than a million dollars in prizes. Can’t make the tournament? 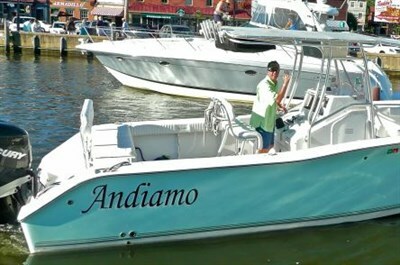 Take a charter out to the Mid-Atlantic Canyons for some of the best marlin, shark and tuna fishing anywhere.